Browse > Home » What are “Points”? 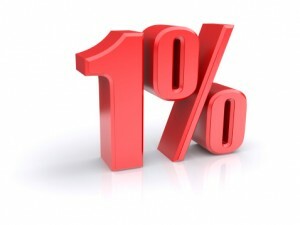 In real estate, the term “point” refers to 1% of the total mortgage loan amount. Buyers often pay lenders this supplemental fee, calculated in points, to get a better interest rate on a particular mortgage. Like the interest you’ll pay each month, points are essentially finance charges – only they are paid up front. For example, the more points you pay up front, the lower the interest rate the bank will charge you over the course of the loan. Points can also be negotiated into a real estate transaction to be paid for by the seller and be used for part of the down payment or closing costs. These “points” may be based on the sale price of the home. Many mortgage brokers will advise you to pay the points for the better rate if you can afford it, especially if you plan on keeping the home for more than a few years. Like interest, the money you pay for points may be tax-deductible, and the investment may pay for itself through savings generated by lower monthly payments. We suggest you call your tax preparer.